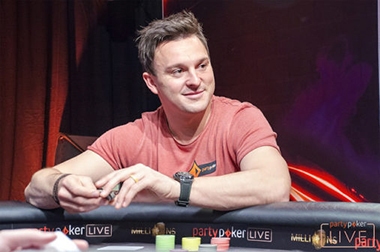 Sam Trickett claims that GTO, widely considered as an universal poker strategy, is not it. According to him we should not just stick to one game plan. Instead we have to observe our opponents and adapt to the situation as it develops, as this is all the live game is about. The debate between GTO fans and those who prefer exploitative approach is becoming more and more popular. Gus Hansen, Charlie Carrel and Daniel Negreanu have spoken about it already and now Sam Trickett decided to comment as well. Currently Sam Trickett is 18th on the All-Time Money List. When asked about the perfect strategy he says it all depends on the table we sit at. Trickett admits he does not use any standard strategy. His game plan depends largely on what his rivals do at the table. In his opinion this is the only way to play events. We just can't think before the game that we will be bluffing a lot or playing tight. If the whole table is tight, then we have to open up. That is why there are no standards. Your opponents will “tell” you what you should be doing to win. Trickett says that the only aspect that does not change is the importance of the hand range selection. Depending on the phase of the tournament we need a different hand range. The same can apply when we have a short or deep stack. Trickett also suggests we should not put too much faith in hands that look quite ok before the flop, but usually spell trouble on the flop. “Hands like QJo or KJo seldom give much value at the early stages of a tournament. On the other hand you can win a lot of chips with hands like Ax suited or low pairs if you catch nuts. What do you do with a big stack? English player suggests that even preflop all-in ranges depend on who is sitting with us at the table. Tricket also shares one tip that allowed him to earn millions on poker: if you have accumulated plenty of chips then do not be conservative. Attack as often as you can. Why? “When you have a big stack, opponents will try to stay away from you because they know you have nothing to lose and can take risks. Open with a greater number of hands and 3-bet more. Players do not like coliding with opponents who have tons of chips. That is why you need to be more aggressive”. 2004 called, it wants it's advice back. Moron. My favourite line is Bet/Fold. I bet, you fold. agreed. a lot of people itt not realizing someone with influence working to make the games easier. Theyre so scared of GTO haha. The day someone comes to my livegame with a RNG I quit poker.